This pagoda used to be at Tomyoji, an abandoned temple in Kizugawa City of Kyoto Prefecture. 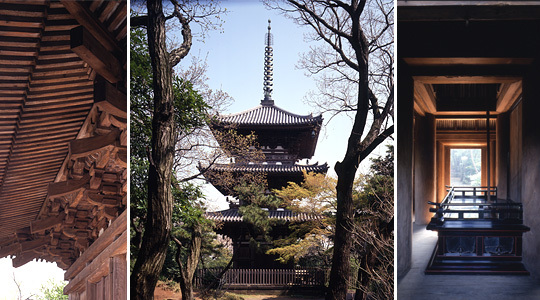 This is currently the oldest wooden pagoda in the Kanto region. Copyright (c) Sankeien Hoshoukai Foundation All rights reserved.